Live! 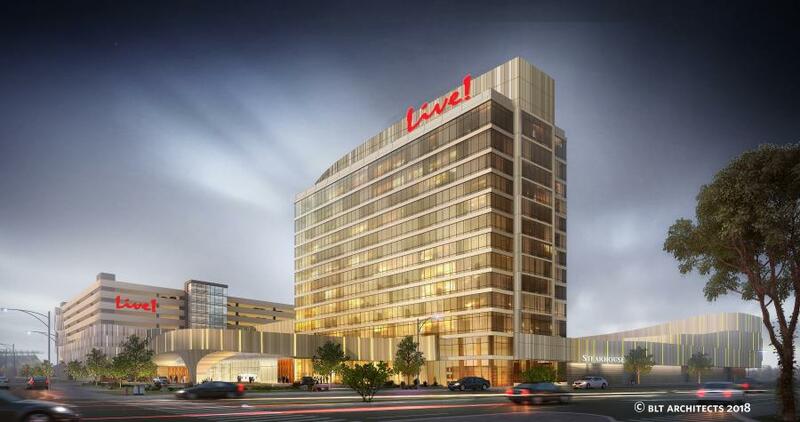 Casino & Hotel Philadelphia, an affiliate of The Cordish Companies, announced that Gilbane Building Company will serve as the general contractor of the new $700 million project. The 1.5-million-sq.-ft. facility will include 2,200 slots and electronic table games; more than 150 live action table games; an upscale boutique hotel; nationally-recognized restaurants and live entertainment venues; valet parking; and an approximately 2,700 space parking garage. Live! Casino & Hotel Philadelphia, an affiliate of The Cordish Companies, announced that Gilbane Building Company will serve as the general contractor of the new $700 million project. Located at 900 Packer Avenue between 10th and Darien Streets, in the heart of the South Philadelphia Stadium District, Live! Casino & Hotel Philadelphia will transform the area into the first integrated sports, entertainment and casino resort destination in the region. The 1.5-million-sq.-ft. facility will include 2,200 slots and electronic table games, more than 150 live action table games, an upscale boutique hotel, nationally-recognized restaurants and live entertainment venues, valet parking and an approximately 2,700 space parking garage. Gilbane will lead construction efforts which involve total demolition of the existing Holiday Inn and adjacent buildings to make way for the new development. Gilbane is a global, family-owned company with more than 145 years of experience, covering a diverse range of building across various industries. The company also holds the same familial integrity as the Cordish family, giving back to its communities through corporate philanthropy, volunteerism and partnerships with small and diverse businesses to reach communities and support local job growth. Live! Casino & Hotel Philadelphia will create significant economic opportunities for local residents and businesses. The Cordish Companies has committed to a groundbreaking Community Benefits Plan with the city that includes unprecedented goals in minority and local construction and hiring initiatives including opportunities for local, minority, women-owned, and veteran-owned businesses, as well as the creation of approximately 3,000 direct and indirect construction jobs. Subcontractors interested in business opportunities can now access the property website at http://livecasinohotelphilly.com/ and a direct link to the Gilbane project site at http://livecasino.gilbaneco.com/.